Making leaking faucets and malfunctioning electrical sockets a thing of the past when your hire Ronnie on the Spot, LLC. Our Service Specialist will provide minor plumbing and electrical maintenance for clients in Lathrop, California and neighboring cities. Don't let faulty wiring leave you in the dark. In addition to plumbing, we also offer an array of electrical repair services to keep power flowing throughout your home or office. From fixing broken sockets and wiring gone bad to outlets and switches to relamping light fixtures. Count on us to get the job done. 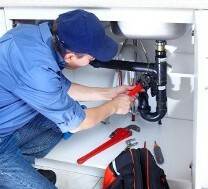 Contact us to take advantage of our competitive prices for plumbing and electrical work.